“Spending time with the Moot Court Team from Gray’s Inn during the week of September 11, 2013, was an amazing learning experience. During their stay in Columbia, SC, I had the opportunity to take the Gray’s Inn Team out to lunch and dinner along with other USC Moot Court Members. Throughout our meals together we discussed the legal system in London and the Gray’s Inn team members were particularly intrigued by the “Po’ Boy” sandwich. 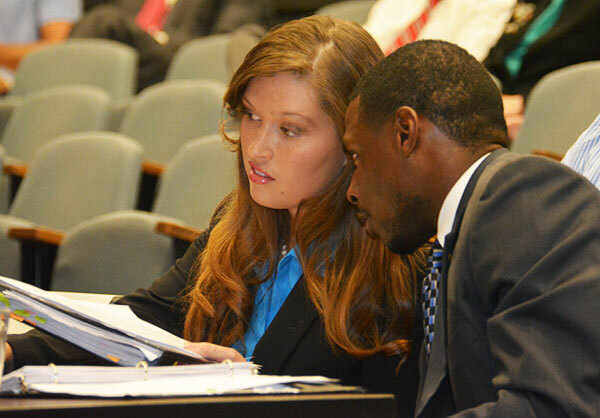 My partner, Rashad Pendarvis, and I argued against Jamie Scott and Amy Stout from the Gray’s Inn team in the Moot Court Competition at the USC School of Law. Our competition problem was based on English law, which gave me the opportunity to learn about their laws and legal system. Specifically, my legal arguments were largely based on the Human Rights Act which is the United Kingdom’s equivalent to the United States Constitution. During this competition, we presented our case before Associate Justice Costa M. Pleicones of the South Carolina Supreme Court, Chief Judge John C. Few of the South Carolina Court of Appeals, and The Honourable Justice Dame Davies of the High Court in London. 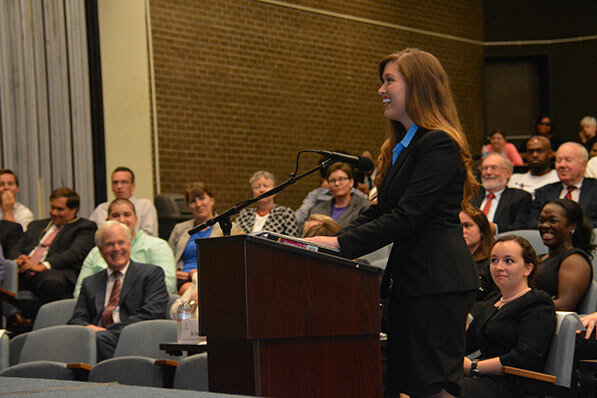 The opportunity to argue before these Honourable Judges as a law student was truly a once in a lifetime experience that tremendously improved my oral argument skills. Moreover, the judges gave us invaluable feedback and tips which have greatly enhanced our abilities as oral advocates. In addition, I was recently hired to become an Associate Attorney at the Maguire Law Firm in Myrtle Beach, SC. During my interview with the Maguire Law Firm, I was able to share my experience in the Gray’s Inn Moot Court Competition and I believe that the skills I further developed through this competition will help me to serve as an effective oral advocate for my clients at the Maguire Law Firm. This entry was posted in One Minute Brief on 11 June 2014 by Rob Schaller.